I am starting with a classical theorem environment from amsthm, it has the numbering I want. 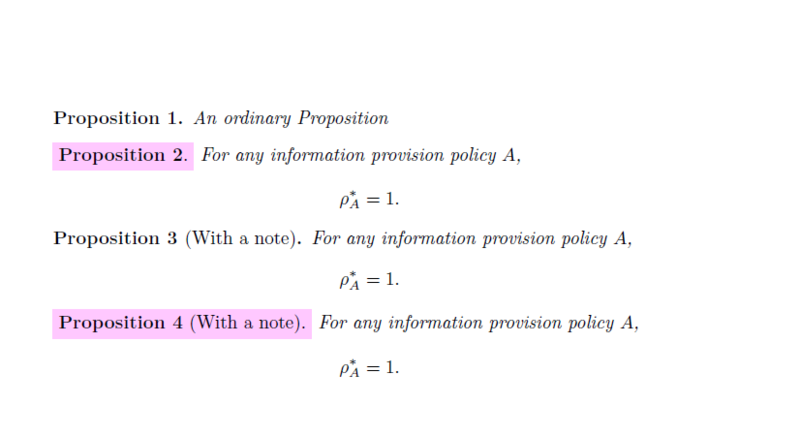 What I would like is to color the background of the name of the theorem. I have tried to do a color box in the definition itself, but I only get to color the name, unfortunately without the numbering. Basically, my question is: how to get the numbering to be colored as well? I am aware of the package thmtools but I am only trying to color the background of the name and numbering, not the whole theorem. Not the answer you're looking for? Browse other questions tagged color theorems or ask your own question. “Correct” way to bold/italicize text?